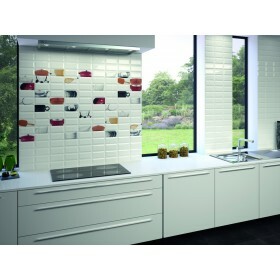 Rustic effect metro Blanco is a white ceramic wall tile. The rustic effect metro range of tiles are a unique and fashionable alternative to the popular bevelled edge tiles. With a slight undulating surface these ceramic wall tiles are truly stunning. Brick tiles were used extensively from the 1930s and are now very popular, giving a fashionable retro style. 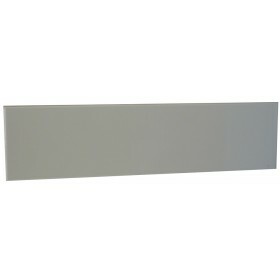 White wall tiles are still top of the picks when it comes to kitchen and bathroom wall tiles. A true classic and can be used with so many other colours to create a unique effect. Combine with black rustic effect metro for a classic black and white combination. Trade Price Tiles is ultra reliable, its staff are incredibly helpful and easy to deal with. I was able to purchase top quality tiles at prices that were unmatched elsewhere, indeed, the cost saving was significant . Deliveries occurred on the selected day and I received a phone call to advise of the delivery time.This company deserves the highest praise.